The world's biggest steelmaker ArcelorMittal has agreed to pay 1.2 billion dollars to acquire Bulgarian steel mill Kremikovtzi, run by Pramod Mittal, the Economic Times reported without quoting a source. ArcelorMittal has emerged as the successful bidder for the steel company and the deal may be announced within a month, according to the Indian newspaper. Lakshmi Mittal, the CEO of ArcelorMittal, is Pramod's elder brother. ArcelorMittal is competing against Ukrainian billionaire Konstantin Zhevago's Vorskla Steel for control of the steel mill. Pramod is selling his 71-percent stake in Kremikovtzi after failing to chip in with working capital and pay salaries to employees. Kremikovtzi has borrowed 30 million euros (47 million dollars) from ArcelorMittal. The company will use part of the loan to pay salaries, bills and for immediate capital investment needs. ArcelorMittal may also provide further 180 mln dollars, as well as 500 mln dollars to be paid to creditors. 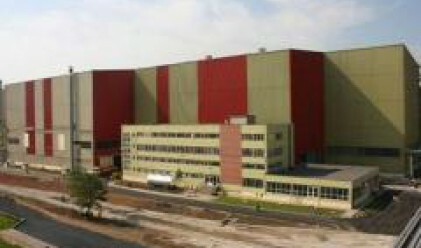 The loan is a good solution and will keep the operations of the steel mill running, according to economy and energy minister Petar Dimitrov. There are claims for Kremikovtzi to be declared insolvent and it is up to the court to deliver a judgement, Dimitrov said.